A classic contest for a classic rivalry comes down to the final play... 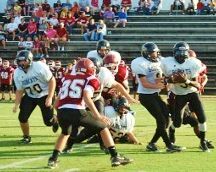 The Andalusia Bulldogs and Opp Bobcats squared off in their annual JR High season opener against one another at Bulldog Stadium last Thursday night. The Bulldogs celebrated last season's 7-0 region run, but Andalusia and the rest of the Region 2 teams were knocked out in the first round of the AHSAA playoffs. 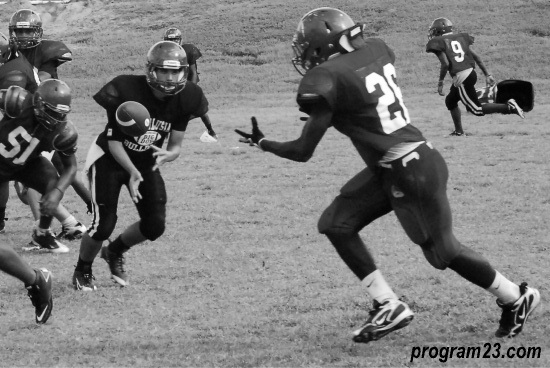 Straughn, St. James, Headland, and Andalusia were defeated and outscored a combined 58-145. The Tigers lost to Dadeville (14-34), Headland fell to Beauregard (8-49), St. James lost to Lincoln (21-41) and the Bulldogs were defeated by Elmore County (15-21). This year Andalusia rolled over to Region 1 and will have to face long time nemisis UMS-Wright, Escambia County, Wilcox Central, Monroe County, Hillcrest Evergreen, Clarke County, and 4A power Thomasville. No other Covington County team is within the 4A ranks this season as Andalusia once again claims the largest school in the County. 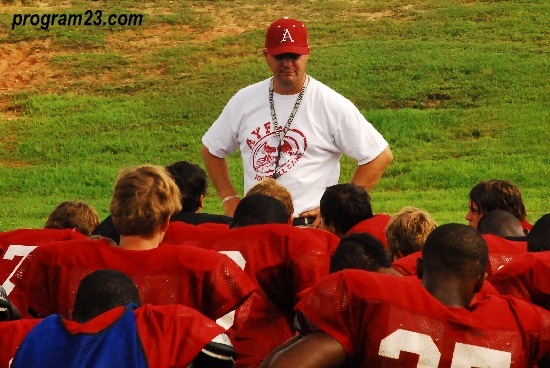 The Andalusia Bulldogs enter the 2012 season with disappointment and jubilation after completing their first undefeated regular season since 1977's undefeated/State title team, but falling in the opening round of the 2011 playoffs to Elmore County 15-21. The 1977 Dawgs finished 14-0 with a state title - adding to their regular season undefeated streak and back to back championships. Seymore has the program headed back to their "glory days" and has the longest tenure as Andalusia's head coach since Don Share's 7 year run from 1973 to 1979. and with the highest anticipation since the 2006 team finished in the semi-finals of the AHSAA playoffs. This season Brian Seymore enters his third season as head football coach and likely the best team talent since 2006. Seymore ties Shelby Searcy (1960-64) as the third longest tenure at Andalusia since it opened it's first season with R.C. Red Brown in 1920. 1930's coach Nurmi Nelson holds the second position at 6 seasons (1931-1936) according to the Alabama High School Football Historical Society.